If you sell on eBay within the UK or Europe, you may have obligations for VAT. Here’s what you need to know. Selling on eBay in the UK and Europe? If your business is ramping up, VAT (Value Added Tax) is something that definitely needs to be on your radar. This tax operates a bit like a sales tax on goods sold and is part of regulations in the UK and Europe. In some circumstances, even for sellers who live outside of those regions are responsible for VAT. When you’re talking about the sale of physical goods, the rules are a bit different to what you may have heard for selling digital goods online. To begin with, just because you sell in the UK and Europe doesn’t mean you have to register for and collect VAT. Whether you do or not depends entirely on the value of your annual turnover and where you are located. However, keep in mind that VAT is a requirement where you are considered a business on eBay. If you just use eBay to sell off unwanted items bought for personal use, this may not apply to you (although, it’s worth pointing out that this can be a grey area). Revenue offices look at a number of factors to determine whether you are running a business – beware that saying it is a “hobby” doesn’t get you out of VAT requirements. You need to register for UK VAT as soon as you reasonably expect to exceed £83,000 in annual turnover, OR you import more than £83,000 from the EU. Worried about annual turnover decreasing? You can de-register if you go below £81,000. If you sell into the EU, different thresholds apply to different countries (a bit complicated, we know). You’ll need to check thresholds for the countries you sell into as you may have a requirement to register for, collect and pay VAT. If you sell into the UK, you must register for UK VAT if your sales exceed £70,000 in the calendar year (1st January – 31st December). Within the EU comply with the thresholds for different countries. You may need to pay UK excise duty as well, if you sell products into the UK that are subject to it (this includes all alcohol and tobacco, for example). VAT registration requirement depends on your distribution. If you are using fulfillment warehouses in the EU or UK, then you will be required to register for and collect VAT. 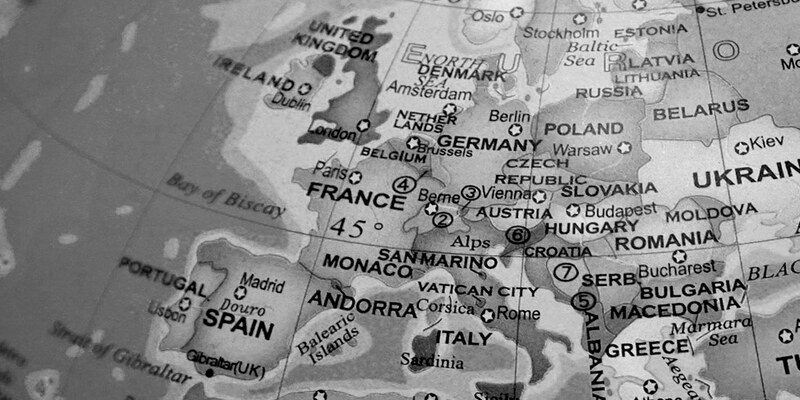 Once registered for VAT, you will be subject to distance selling regulations that require VAT to be collected in the other EU countries you sell into. When you export an order from your country of residence, it may be subject to import VAT in the customer’s country (in the UK, that’s 20%). This isn’t the best customer experience, so you may wish to register and collect VAT anyway. You then file it with the appropriate authority and it is paid back to you on a VAT return. Obviously, if you reside within the UK or EU, it’s a fairly simple matter of your revenue service catching up with you when they realize that you are meeting turnover thresholds but not collecting and filing VAT. This is a bit of a hot-button issue as governments have been cracking down on the revenue that they have been missing through online sales. If you’re based overseas, perhaps nothing will happen, but that’s a gamble. New agreements for cooperation with governments and retail platforms are being struck with some regularity, including an agreement that allows the UK government to work with intermediary platforms, such as eBay and Amazon. This means they will be looking to identify retailers who have not complied with VAT regulations. It’s never a pleasant scenario to be faced with a tax bill, so we’d recommend consulting with a qualified accountant to determine what you need to do. When should you be charging VAT? Once registered for VAT, you should be collecting VAT for every sale to a customer in the UK or EU. Yep, you probably noticed that each country has different rules and rates, so this could be a logistical issue. To top that off, you may not have to collect VAT at local rates for sales into certain countries if your sales amounts don’t reach the thresholds for the country. When you are VAT registered, sales become governed by EU distance selling rules. These state that local VAT (the VAT of your country) is charged on all sales until you reach the thresholds for those other countries. This gives you a chance to test out selling to different countries without a heavy compliance burden, however, remember that if you are selling via multiple channels, you need to include your earnings as a whole rather than per channel in your totals. A caution for eBay in particular is that, as it is primarily a consumer marketplace, they don’t allow sellers to add VAT to a transaction once the buyer has won or purchased an item. VAT should always be included in the cost (or accounted for in the minimum bid price). Alternatively, you must clearly state the amount or percentage of VAT that will be charged in your listing. You’ll be responsible for that VAT cost if you’re required to pay and haven’t specified it. The best thing you can do is get advice from an accountant about what you need to be doing. eBay allows you to register your VAT number with them to set up automatic calculations. The other thing to note here is that some countries require you to provide proper VAT invoicing to customers. 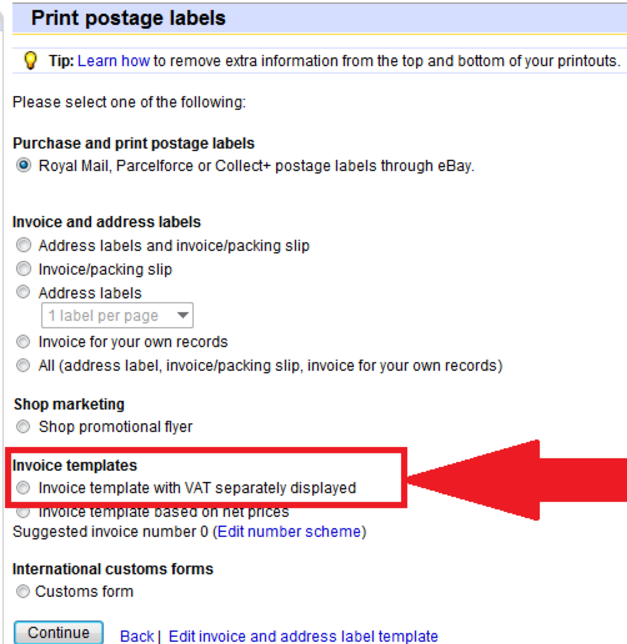 There is a section in your eBay account where you can turn on VAT invoicing as below. How do you pay your VAT? When you are VAT registered, you are required to file returns according to the rules of the particular tax authority. Again, if this means multiple tax authorities for you, it can be a bit complicated. In the EU and UK, you can access MOSS (mini one-stop shops), which allow you to register and have your VAT requirements taken care of from one place. This heavily reduces the administrative burden for those who need to comply across multiple countries. If you qualify as a VAT-liable business on eBay, we strongly recommend you take the time to do some planning when it comes to following the rules, including deciphering what needs to be done for cross-border transactions. You should also plan for any additional costs that you might expect from complying with VAT; for example, software for invoicing or fees for one stop shops. Again, it’s always a good idea to plan with an accountant (so account for that cost too!). If you’re selling on eBay from within the UK or Europe, or to customers in those places then you may be required to register for, collect and file VAT. Make sure you are familiar with the rules and that you seek professional planning advice where you can. It may seem overly complicated to deal with the different rules of the various countries, but don’t let this put you off from selling across borders. You can use distance selling thresholds to test out other markets with a little leeway before you need to collect VAT specific to the particular country. All the best for your journey ahead! How do you keep your eBay business VAT compliant? Get our quick tips here.